This website contains the files I used in the creation of my YouTube videos including MIDI files of the piano track from the video. Using your favorite midi player program, you can view the notes being played on an on-screen keyboard and slow the perfomance to allow for in-depth analysis. You can download a FREE midi player for Windows programs here: vanBasco Midiplayer or here: MidiPiano Player. If you are on a MAC computer there is a midi player available here: Free MAC Midi Player or you can purchase the Midiculous MidiKeyz Player (the same one I use in my videos). NOTE: Videos are not included in purchase, however you can download the videos FREE using one of the many free YouTube video downloaders. (I like the one at www.freemake.com). Be sure to check out the bottom of the page for discount codes that can be applied towards the purchase of any file on the site! 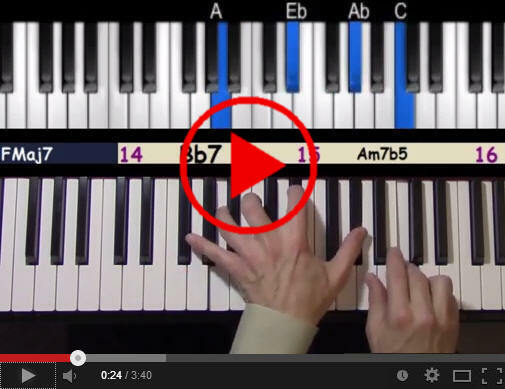 Piano MIDI File - This contains the PIANO PART ONLY in MIDI format. This file can be played using many different types of audio programs. Many MIDI programs will allow you to slow this down to analyze note-by-note exactly what is being played. MP3 Backing Track File - This is the same backing track (usually Bass and Drums) I used to create the YouTube video. It is at the same tempo as in the video. MIDI Backing Track File - This contains a backing track similar but not identical to what is used in the video however using MIDI data. The quality of the instruments are dependent on your sound card. The advantage to this is that you may adjust the playback speed using a MIDI player to allow you to play the song at a tempo of your choosing. Many MIDI programs will also allow you to adjust the key so you can try playing over the backing track in a different key. Pricing - All individual files are priced at $1.50. SAVE!! - Purchase the .zip combo file containing all files for a particular song for only $4.50. In many cases this will contain an extra bonus file of the midi piano solo combined with the midi backing track. Please use the CONTACT FORM if you are interested in Skype lessons and I will email you the details. I have a camera set-up directly over my keyboard just like in the videos. I also provide you with a video recording of the lesson so you can continue to review the material we covered. 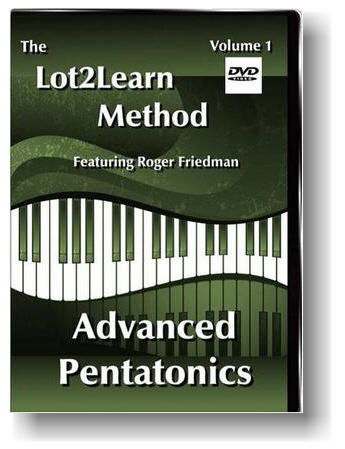 The long-awaited release of my new instructional DVD explaining the use of the modern improvisational technique using pentatonics made famous by McCoy Tyner. 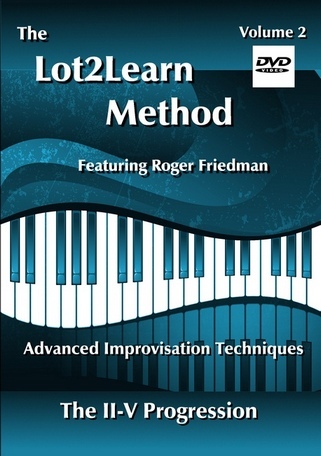 Also a new DVD on improvisational techniques playing over the II-V progression. 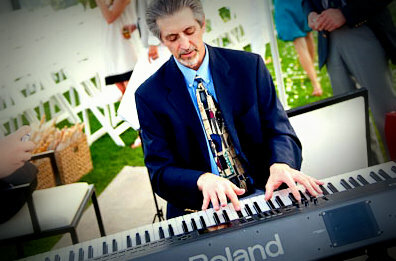 I've been playing jazz piano for over 30 years. I started my Lot2Learn YouTube channel as an instructional outlet to help perpetuate this great music we call jazz. I am grateful to the almost 8 million video views and the thousands of subscribers who have found my channel enjoyable listening and helpful in their studies. I hope you will find something of use here on my website, and thank you for visiting. To get started, go to the files page and pick a song you think you might want to learn and/or work on, watch the video, then download the files for that particular song. The Combo pack for each song is your best bet and will give you plenty of material to dig into. So let's get started! If there is something you cannot find on this site, please use the contact tab above to contact me and I will try to help you.